I’ve had a mission for quite some time now, other than learning new things about health and applying them to everyday life. It is the mission of proving to others that eating healthy doesn’t require one to break the bank. In fact from my own experience, eating healthy on a budget is very possible. 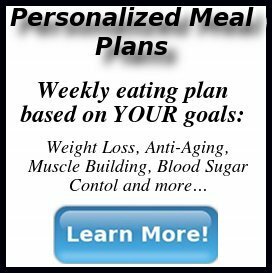 Hopefully I will bust the myth in this post that one should have to take out a loan in order to enjoy a healthy diet. I used to buy many organic, pre-packaged foods when I was transitioning to a whole foods diet. I don’t think there is anything wrong with this, and I know plenty of people who are in this phase right now. It’s a great way to start bringing forth new ways of eating without the harmful additives and pesticides availabe in most conventional food. Most people who take a full on approach to their health do not get stuck in this phase. Continuing to purchase organic processed foods may not only be preventing the experience of better health, but it may also lead to quite a bit of wasted money. It’s a bit easier to save money when buying organic processed food because you can often use manufacturer’s coupons. 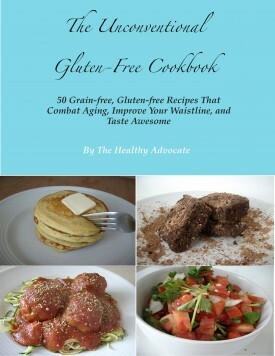 It is a bit more challenging than conventional processed food, but it can be done. I personally think, however, that it is much easier, and less expensive, buying for a whole foods diet. You can’t use coupons, which pretty much stinks, but you can compare the prices of your already made organic foods to the ones you make at home. Let me take this further as I bring you through an imaginary trip through my local grocery store which specializes in many nautral, organic, processed foods. Today I went to my grocery store to pick up some sunflower seeds and almonds to make my own sunflower seed butter and almond butter. I’m sure nut butter spreads are a staple in many homes, especially those choosing to eat organic. Many people I know shell out the $4-$5 to purchase already made almond butter, and it’s not even organic. At my grocery store today it was on sale for $3.79. Now I like this brand, but this specific one has added sugar in it. Not something in which I choose to put in my body on a regular basis. 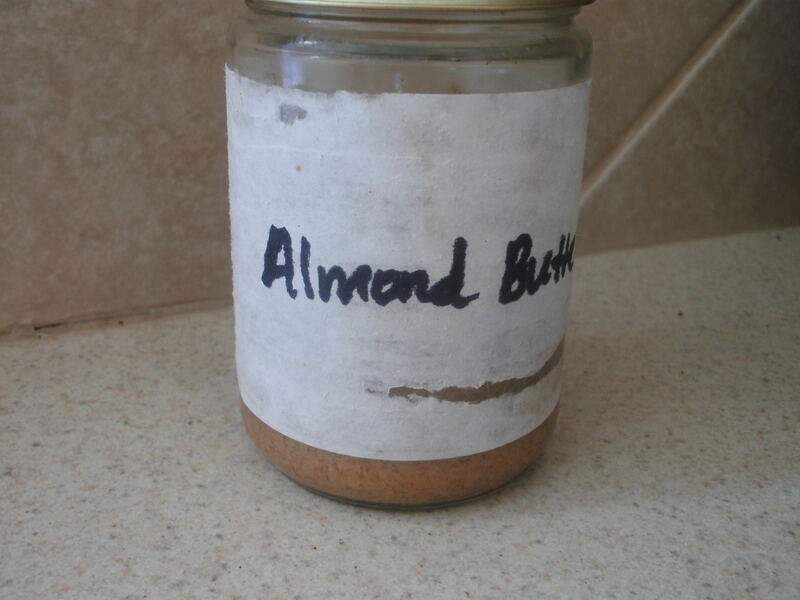 Making homemade, organic almond butter saves money and helps me reuse glass jars. I then go to the bulk section where their organic raw almonds are $4.39 a pound. I figured that i could use half a pound to make my own homemade almond butter, which I do quite often. The total came to about $2.85 when I checked out, and I saved almost $2 dollars on the almond butter with added sugar. Sunflower seeds were $1.99 a pound, and I used around $1.60 to make the equivalent amount of homemade sunflower seed butter which usually costs $5.99 premade (but was a dollar off today). Another mark for me and the environment, since I would be purchasing plenty of plastic containers which I wouldn’t use (I already have too many from my organic, processed food days!). For lunches I make salads or soups, and sometimes my green smoothies when I’m doing interval cardio. I try to get in as many raw foods as possible. A head of organic lettuce only costs $1.99, and will feed one person for about a week, after adding some onion (.69 cents), organic spinach ($1.78), organic and local kale ($2–usually keeps me for 2 weeks! ), and sprouts ($1.25). I then add some left over sunflower seeds or almonds on top of these salads. There is a nice lunch budget of $7.71 per week per person. This is not including olive oil and vinegar, which is a common staple in the pantry. Compare this lunch to a couple of my family members, who usually shell out up to $5 a day (or more) on cafeteria food or on processed, nitrate laden meat, whole wheat bread and cheese (which goes to about $10 a week). Many people I know (and I used to be one of them when I didn’t know any better, ;)) buy pre-made lunchables or frozen meals for lunch. These can be anywhere from $2-$5 a day on lunch. Not good, not good–unless money, and health, is no object of concern. I was also noticing the store’s organic beef prices. Almost $6 a pound. Now this comes down to personal choice and opinion. If you are a vegetarian or vegan, then this won’t apply to you. But, if you do eat meat (which I think is completely natural every once in a while), the best choice is organic. Saving money on organic beef and animal products may be a bit challenging. However, you don’t have to eat beef every single day in order to reap the benefits of its amino acid content and fatty acids. You could eat it two times a week, and rotate that with chicken, eggs or dairy protein (raw dairy, preferably). A couple nights may even be “meat-free”, making it completely vegetarian (but without white potatoes and corn–we don’t need those high-glycemic, grain-like metabolic processes occurring when promoting good health). Tonight we made a chili that only costs $5-$7. My sister bought it, but I know it was in that ballpark. It feeds a group of three for 2 nights in a row (in fact I’ve been eating it for lunch for the past two days, and there is even more for two more days! ), making it better for budget friendly families. Leftovers are a great way to save money, and it often occurs when making home cooked meals. You just get more out of them. The chili doesn’t have meat, but includes beans, vegetables and fruits (tomatoes) which warms up a body during the cold months. Dinners should include salads or some type of vegetable, preferably prepared in a way that people will eat them. Vegetables are a really nutritious substitutions for chips or fries with the entree (or just serve the entree itself), and aren’t that expensive. In fact, they usually don’t exceed chips, french fries and the other sides in price (sometimes they’re even lower). Eating in season is also a very good idea, because usually these produce items will be relatively less expensive. I know that sweet potatoes have gone down in price in my area, and they’re a great white potato alternative for the fall and winter months. It’s low glycemic and packed full of vitamin A, an incredibly vitamin for your eyes and your bones, believe it or not. I wouldn’t recommend eating sweet potatoes everyday, of course, but it is a very nutritious and very inexpensive whole food. Saving money on a whole foods diet will allow you to experience something new, like meeting people who grow your food, unless you’re already into that. Going to farmer’s markets and buying your produce directly from the farmer helps not only to support local food, but it might even save you money. My local farmer has great deals on her kale (a HUGE bag is like $2), zucchini and other vegetables. They’re all organic and less expensive than the organic produce found at a grocery store. Plus, they’re local! What do you do to save money when eating a whole foods diet? I would really like to hear all suggestions and tips that I can even apply to my budget. Perhaps we can start an organization which makes coupons for whole foods and distributes them to grocery stores across the country. Or would we send them to the farmers? We would need a gimmick. By the way, this idea is copyrighted by Me. If you enjoyed this post, please share with those you know! Thank you. Great overview. Buying whole foods is the way to go, but even more so for me is buying seasonally. $2 for one avocado just seems ridiculous to me. $4.99/lb. for tomatoes? Geez! What adds up for me are specialty ingredients, like hazelnut oil ($8) or those fancy pickles I had to have because I shopped hungry ($7). Or health items like the mushroom immunity blend ($40) and spirulina ($19). So no matter what I always spend an arm and a leg and often feel guilty about it. Sometimes I think eating healthy can be a class privilege. I especially like the eating in season and a meat-free night. meats, oils, coconut flour, tuna (dolphin safe), etc. -I too buy in season and occasionally buy to freeze or dehydrate. -buy staples in larger quantities/sizes to reduce price. -use romaine lettuce instead of bread. -I grow my own herbs and mints. Great tips Nan! I was hoping everyone would pitch in their own ways they save money on whole foods. Thanks for sharing! You are currently reading "How to Save Money on a Whole Foods Diet"